Happy holiday of your choice. Smiling faces are fashionable all year long. Jerks not required. Join a bead challenge. Honor Martin Luther King. Learn more science. Get older. Nourish my bones and soothe my synapses. Fix the flat tire on my bike. Listen to Harry Nillson. There will be a lot of plates to spin. 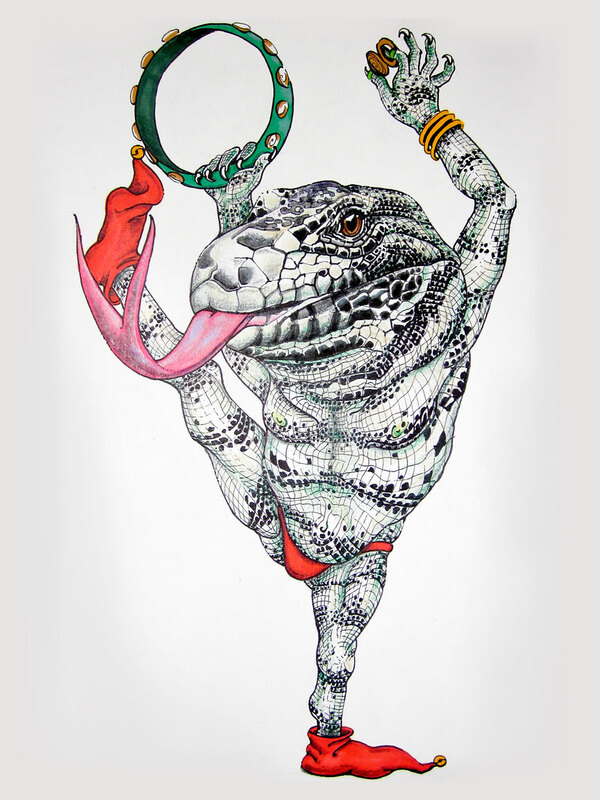 This entry was posted in Art, drawings and tagged Art, aspirations, celebrate, dancing, drawing, Holiday, lizards, new year, tambourine by selina. Bookmark the permalink.